Paying for healthcare costs gets increasingly difficult as you get older, and can easily end up wiping out any assets you have accumulated. While you automatically get Medicare benefits once you reach a certain age, this program fails to provide many of the important benefits older Americans require. Medicaid provides more extensive benefits, but there are income limits. Unfortunately, people often end up spending their life savings before they finally qualify. Medicaid planning helps to avoid this situation. Through a Medicaid trust, you can transfer assets, such as property, stocks, or savings accounts, to meet eligibility requirements, while still receiving a regular income from those assets. Medicare Part B, which along with Part A, is known as original Medicare. Part B charges a monthly premium depending on your income level, and covers physician costs, including some preventative treatments, and includes copayments and deductibles. Original Medicare does not provide for prescription medications or long term care costs. Medicare Advantage is similar to a Health Maintenance Organization (HMO), and is available for an additional premium. You will still be responsible for some copayments and deductibles, but prescription costs may be covered. Medicare Part D is supplemental prescription drug coverage for original Medicare, available for an additional premium. Supplemental Medicare is added coverage you can buy to assist in paying copays and deductibles. 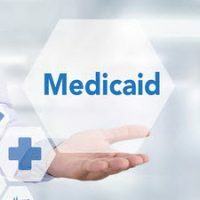 Medicaid is also a federal program, but offers more extensive benefits than Medicare and you must meet certain income guidelines in order to be eligible. Unlike Medicare, there are no premiums, copays, or deductibles with Medicaid, and in addition to all hospital, physician, and preventative treatment costs, prescription medications are covered as well. Many people start off being ineligible for Medicaid and are forced to rely on Medicare until they run out of money. Through Medicaid planning and the use of Medicaid trusts, you can meet increasing medical costs as you get older, without having to deplete your life savings. To find out how a Medicaid trust can help you get the care you need while preserving your assets, contact the offices of Cavallo & Cavallo today. As your neighborhood law firm, our Medicaid planning attorneys provide the experienced legal guidance you need to ensure future needs are protected.